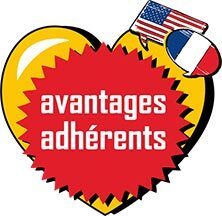 What can the French-American Center do for you ? 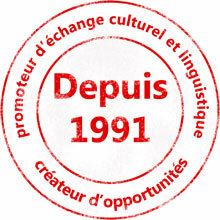 Introduce you to French students and families who want to get to know you. We have around five hundred active members who are French and who are motivated by cultural exchange with English speaking people. They will make you very welcome. We organise a party each mont hand you are always welcome to participate. Every Wednesday at four pm you can come to our tea party and meet our members. Give you Internet access,and the loan of books and other materials. We have a library and media room available for your use any time. Teaching assistant for young children. So what are you waiting for? Get in touch now ! Email to facmontpellier(at)yahoo.com. Or telephone us at 04 67 92 30 66 or just come and see us any time, we are open from 9h30 to 12 and from 14h00 to 18H30 from Montday to Friday. See you soon ! You can also volunteer occasional days help for events such as halloween and valentine's day etc. or for days spent giving lectures and talks in local high schools.